Making funeral arrangements differs for every family. Not everyone wants the same type of service. Decisions will be influenced by religious and cultural traditions; costs and personal preferences. 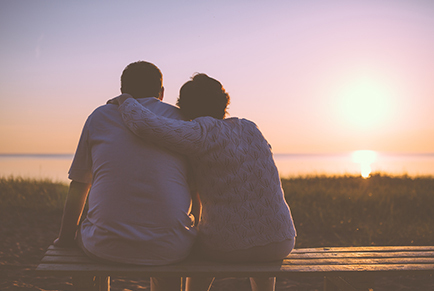 Instructions for a funeral may have been given verbally or expressed in a will, but if not, our experienced staff can explain options to help you make the right decisions for your loved one and family members. Funeral arrangements can be individually selected or provided as a package. If you are arranging the service for a loved one, there are a number of things that you may wish to do before we meet for the first time to help make things easier. Download and complete the personal details form from here. This is the information we will pass onto for the Registry of Births Deaths and Marriages. Our media team are highly skilled at creating wonderful memorial keepsakes. If you have any photos that are precious to you, that you would like to be included please bring them along. We can work with either printed photographs which can be carefully scanned or digital photographs, just bring the unedited original files on a USB thumb drive or details of a cloud storage account (Google Photos/DropBox/iCloud etc) where we may access the original files. Select the title and artist you would like to be heard during the service. Usually 3 pieces are sufficient. So we may dress your loved one appropriately. If a death notice is required, it is good to have considered it beforehand. As we learn to cope with our loss and adjust to a changed situation, we may go through many changes of feelings, thoughts and behaviours. We may even question our spiritual beliefs. This is grief in action.There are no right or wrong ways to grieve, and feelings of loss do not stick to a rigid timetable. Everyone reacts differently and will come to terms with loss in their own time. However, there are some reactions to death and dying that are common to many people. These reactions may include sadness, depression, anger, guilt, regret, resentment, poor concentration, and/or withdrawal from social activities. As you make your way through the grief process and need understanding and information, you may seek assistance. Be patient with yourself and don’t be afraid to ask for help. Consider talking to a friend who will listen without judgement, or write in a private journal to express your feelings. Caring for yourself is perhaps one of the most difficult things for us to do. Often we are busy and worried about how other people are coping and put off looking after ourselves. The process of our grief is unique to us because our relationship with the deceased is personal and making meaning of this loss may be complex, bewildering and painful. It will take time to adjust to life without them. Mannings Funerals was established in 1940 by Alan Manning an ex petty officer on the Wangpoo supply ship in the Second World War. After the war, Alan worked with his father, Bert Manning, making coffins in his father’s factory in Grosvenor St, Prahran. After a couple of years, Alan saw there was a need for a funeral company to serve the ex-service soldiers. He built a funeral home at 374 Burke Road Glen Iris which cared for TPI soldiers, friendless soldiers, RSL members, The Rats of Tobruk and the 39s. Mannings Funerals is today managed by Brian McMannis and now has offices in Frankston & Cranbourne. We continue the tradition of looking after ex-service personnel and their families in particular, with relationships with RSL sub-branches and various Vietnam veterans associations. In our 79 years, Mannings has witnessed & embraced the changes & opportunities that multi-culturalism has brought to Melbourne & is experienced in caring for families from many backgrounds.